I’ve loved this particular plant for many years and for many reasons, but blooming in October is a first. 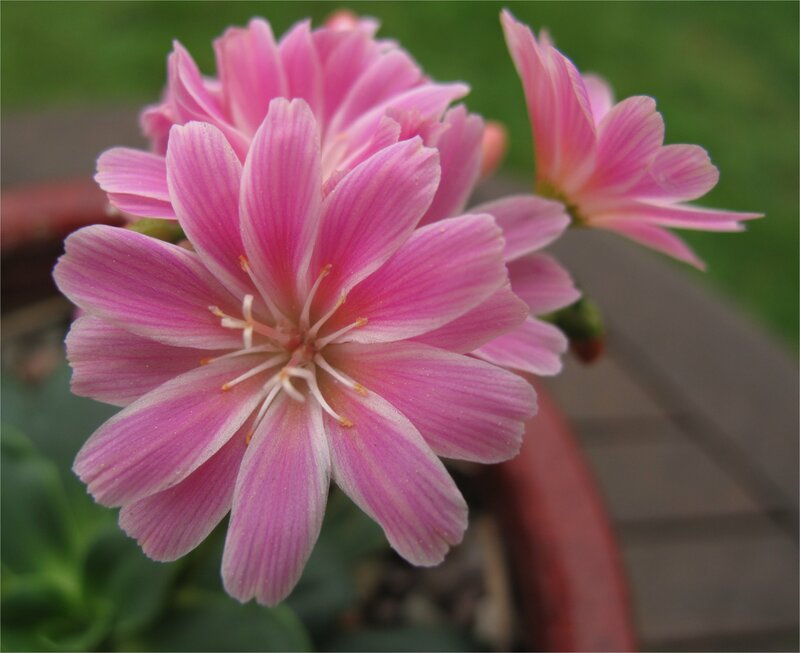 Lewisia cotyledon is one of the most variable species in the small Genus Lewisia (about 19 species). It hybridizes readily with most of the others in the genus. 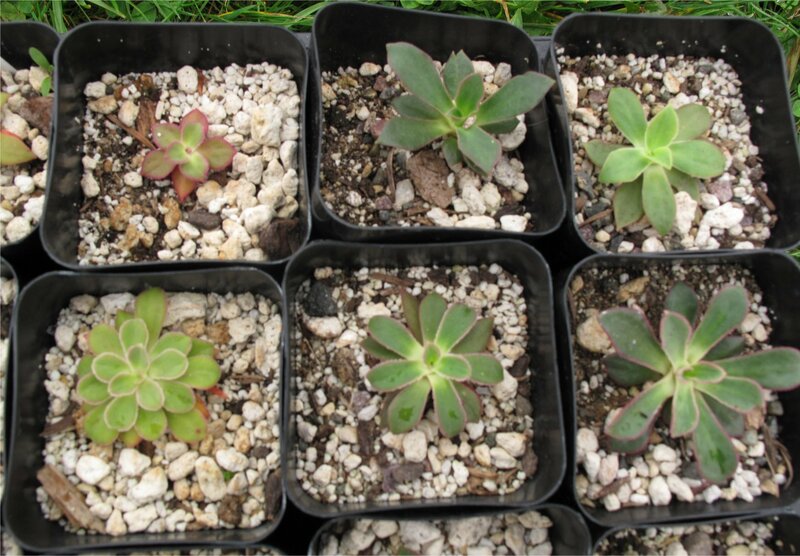 Based on the tight, compact rosette and the lack of serration of the leaf margins, I would say this plant is closely related to L. cotyledon var. purdyi, which is native to the Siskiyou Mountains of southern Oregon, particularly the upper reaches of the Illinois River Basin. The plant blooming now is one of many of my clones; vegetative propagation is easy from offsets of small rosettes that form off the caudex of the existing plants. I purchased the mother plant in the 1980s from Herb Dickson’s Chehalis Rare Plant Nursery. While not as flashy or spectacular of color as those aforementioned hybrids, it still is a fine specimen. This cultivar is always a repeat bloomer through the summer. The trick is to keep the conditions as spring like as possible. Most of my plants are in pots and it’s easy to keep them cool and fairly wet after the initial spring blooming by moving them into shade. Pulling off the spent flower stalks also encourages multiple rounds of blooming, but never as late (until now) as mid October. 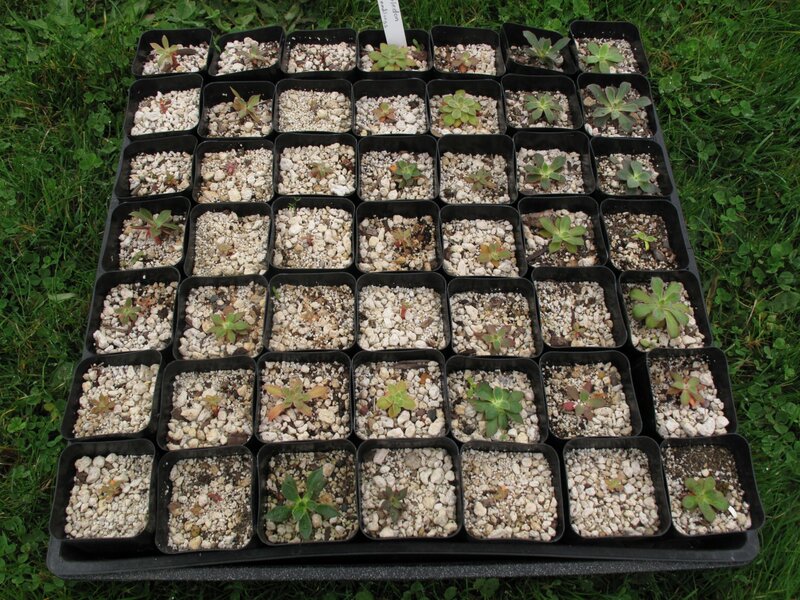 I’ve propagated my collection — currently about 100 plants — from seeds I purchased from Ashwood Nursery in England, offsets, and from natural crosses that occurred between plants on my sand plunge bench. After blooming, the spent flower stalks scattered seeds both in their pots and the surrounding sand. This year it was easy to pluck these random “bench crosses” out for potting up. I doubt if I’ll see much bloom this coming spring, but some of the seedlings do seem more robust than others and variation in the leaves is already apparent. Since about a third of the plants were the “Ashwood” strain from England, which rivals any strain for stunning color, I’m anticipating these crosses may yield some worthy cultivars. Perhaps the most striking Lewisia is Lewisia tweedyi, which is now taxonomically named Lewisiopsis tweedyi, the sole plant in the new Genus Lewisiopsis and the reason why the Genus Lewisia now numbers nineteen, rather than twenty. 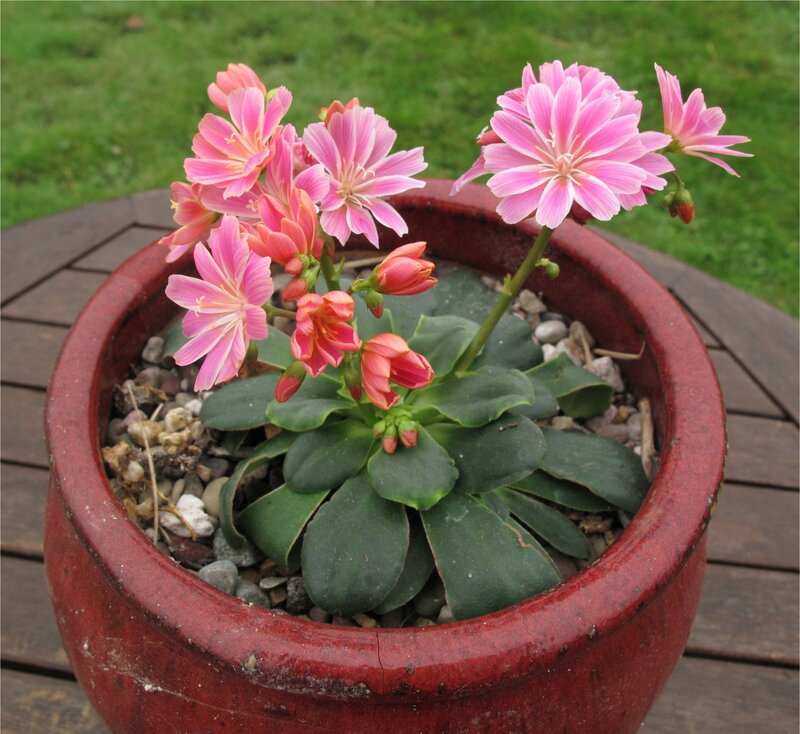 Read more about Lewisia tweedyi in this post. 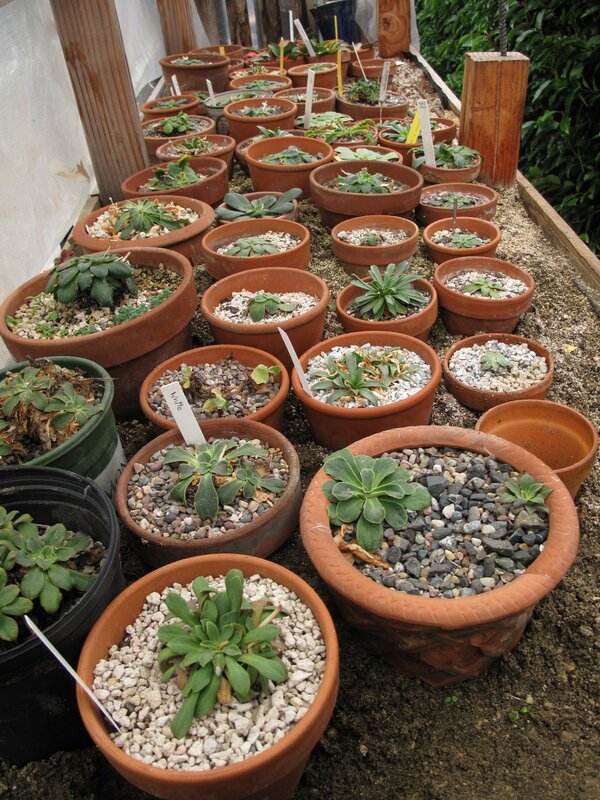 This entry was posted in Alpines, Plant Picks and tagged Genus Lewisia, Lewisia cotyledon, Lewisia cotyledon var. Purdyi by Bart Arenson. Bookmark the permalink. That’s quite a collection! I’m very curious to see how all the flowers turn out.